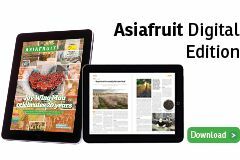 The desire to keep consumer demand ahead of supply has prompted Fruitcraft to cease new plantings of the PremA129 apple variety in New Zealand for the time being. Marketed under the brand name Dazzle, the PremA129 variety has proven extremely popular with growers, with close to 1m trees placed on order for planting by 2021. The production from these trees, along with those already in the ground, is expected to carry New Zealand’s Dazzle packout to around 2m cartons by 2026. Fruitcraft manager, Steve Potbury, said it was time to take a breather and ensure robust systems are in place for the branded offering. “We want meet the strong demand we are already seeing, but we need to ensure we manage the production so that supply doesn’t outweigh demand,” Potbury explained. 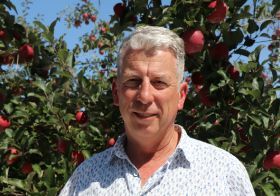 “The response to this apple from the market has been extremely positive and growers have planted the variety more quickly than expected. A large, red, sweet apple, Dazzle was developed by Plant and Food Research at its research station in Havelock North. It has been licensed to Fruitcraft – a joint venture between Bostock New Zealand, Mr Apple and Freshmax New Zealand – by the commercialisation business Prevar. The first commercial volumes of Dazzle will be available to customers in international markets this month. Around 14,000 cartons are expected to be exported from New Zealand this year, with Asian markets a key focus. Along with Freshmax, Mr Apple and Bostock New Zealand, Fruitcraft has sublicensed Pickmee, RD8, Taylor Corp and Golden Bay Fruit to export New Zealand-grown Dazzle. Fruitcraft also has a license with Chelan Fresh in Washington State to grow and market Dazzle in North America. Potbury said other territories around the world are also being considered for licenses.